The Act was finalised in September 2018 and will allow craft drinks producers to sell their own product at their manufacturing premises. There are limits to opening hours and those who sell alcohol for consumption on premises can do so only if customers have taken a guided tour. In order to avail of the licence, breweries will need to make an application to the court. In September 2018 after the inaugural meeting in Brussels a new association of European Independent Brewers has been formed by 9 participating member countries. 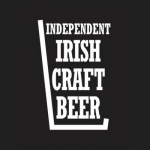 The IBE has been formed to give independent brewers a voice at European level. As of mid 2017 Membership is now open to breweries operation in any of the 32 counties on the Island of Ireland. There is also a new associate member option for brewers starting out and planning to set up in the next 2 years.